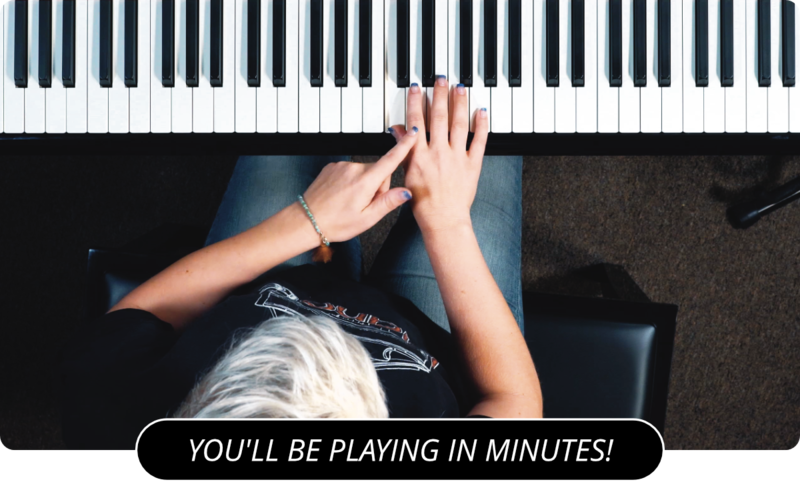 Learn How To Play '100 Years' by Five For Fighting On Piano! The main hook of this popular song is a pretty simple melody. I demonstrate it in the video using just my right hand. The left hand plays a series of four or five chords. Start off with a G, then move to the C, the A minor, then to D, G/B, E minor, on to A minor, then finally a D.
At the end of that section play a G and D on the right hand and play the same thing on the left hand. Next just hit the G with both hands. The left hand basically plays on the beat, one chord per bar. The right hand keeps on pushing. If you pay attention there's a while in the beginning of the song where the left hand is playing different chords, but the right hand is pretty much repeating the same phrase with minor variations. Since the right hand is basing it's notes around the G chord, which is the key of the song, it fits in with any chord in the G major scale. When we get to the verse, what we are playing in the right hand as the intro makes up the verse. The chorus consists of broken chords using the progression G, D, C with a sixth interval added, G, G, D, E minor, and C. He then sets up the verses by playing a melody using the notes D D A A A B A G F# and G.
Click here to watch Nate perform 100 Years by Five For Fighting.